While the word geography is derived from Greek and literally means "to write about the earth," the subject of geography is much more than describing "foreign" places or memorizing the names of capitals and countries. Geography is an all-encompassing discipline that seeks to understand the world — its human and physical features — through an understanding of place and location. Geographers study where things are and how they got there. My favorite definitions for geography are "the bridge between the human and physical sciences" and "the mother of all sciences." Geography looks at the spatial connection between people, places, and the earth. How Is Geography Different from Geology? Many people have an idea of what a geologist does but don't have any idea of what a geographer does. While geography is commonly divided into human geography and physical geography, the difference between physical geography and geology is often confusing. Geographers tend to study the surface of the earth, its landscapes, its features, and why they are where they are. Geologists look deeper into the earth than do geographers and study its rocks, the internal processes of the earth (such as plate tectonics and volcanoes), and study periods of earth history many millions and even billions of years ago. How Does One Become a Geographer? An undergraduate (college or university) education in geography is an important beginning to becoming a geographer. With a bachelor's degree in geography, a geography student can begin working in a variety of fields. While many students begin their career after achieving an undergraduate education, others continue on. A master's degree in geography is very helpful for the student who desires to teach at the high school or community college level, to be a cartographer or GIS specialist, of work in business or government. A doctorate in geography (Ph.D.) is necessary if one wishes to become a full professor at a university. Although, many Ph.D.s in geography continue on to form consulting firms, become administrators in government agencies, or attain high-level research positions in corporations or think-tanks. The best resource for learning about colleges and universities that offer degrees in geography is the annual publication of the Association of American Geographers, the Guide to Programs in Geography in the United States and Canada. What Does a Geographer Do? Unfortunately, the job title of "geographer" is not often found in companies or government agencies (with the most notable exception of the U.S. Census Bureau). However, more and more companies are recognizing the skill that a geographically-trained individual brings to the table. You'll find many geographers working as planners, cartographers (map makers), GIS specialists, analysis, scientists, researchers, and many other positions. You'll also find many geographers working as instructors, professors, and researchers at schools, colleges, and universities. Being able to view the world geographically is a fundamental skill for everyone. Understanding the connection between the environment and people, geography ties together diverse sciences as geology, biology, and climatology with economics, history, and politics based on location. Geographers understand conflict around the world because so many factors are involved. Who Are the "Fathers" of Geography? The Greek scholar Eratosthenes, who measured the circumference of the earth and was the first to use the word "geography," is commonly called the father of geography. Alexander von Humboldt is commonly called the "father of modern geography" and William Morris Davis is commonly called the "father of American geography." How Can I Learn More About Geography? Taking geography courses, reading geography books, and, of course, exploring this site are great ways to learn. 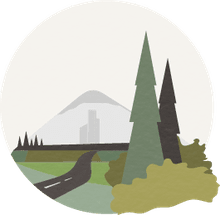 You can increase your geographic literacy of places around the world by getting a good atlas, such as Goode's World Atlas and use it to look up unfamiliar places anytime you encounter them while reading or watching the news. Before long, you'll have a great knowledge of where places are. Reading travelogues and historical books can also help improve your geographic literacy and understanding of the world — they're some of my favorite things to read. What Is the Future of Geography? Things are looking up for geography! 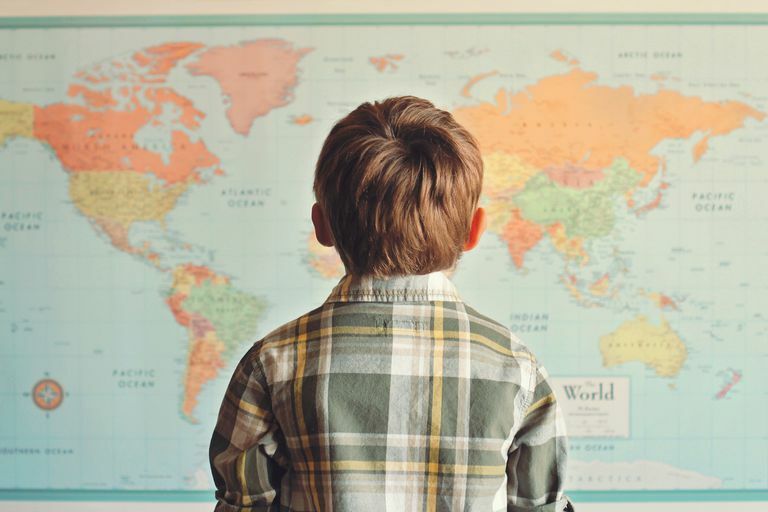 More and more schools across the United States are offering or requiring geography be taught at all levels, especially high school. The introduction of the Advanced Placement Human Geography course in high schools in the 2000-2001 school year increased the number of college-ready geography majors, thus increasing the numbers of geography students in undergraduate programs. New geography teachers and professors are needed in all areas of the educational system as more students begin learning geography. GIS (Geographic Information Systems) has become popular in many different disciplines and not just geography. The career opportunities for geographers with technical skills, especially in the area of GIS, is excellent and should continue to grow.